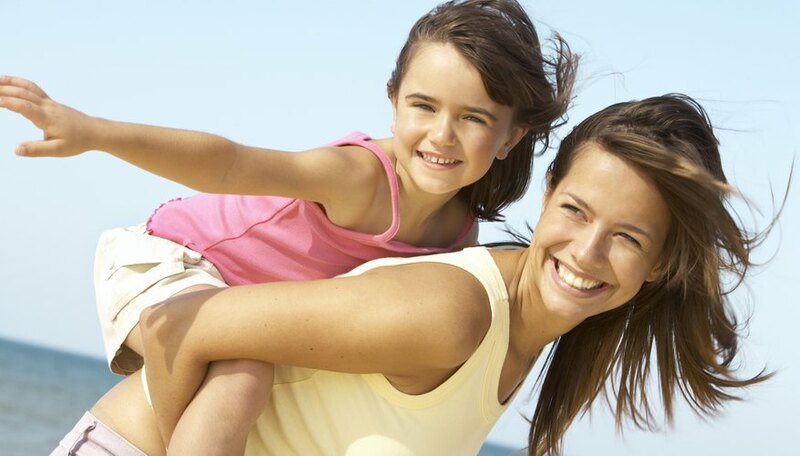 Plan a special mother-daughter day that caters to your child’s interests. Ohio is home to an assortment of venues that cater to families and make it easy and enjoyable to spend time with your kids. Organize a day of pampering at a kid-themed spa, tempt your taste buds at a local restaurant for brunch or enjoy a live performance. With so many options, you can pack a full day -- or even a weekend -- with memorable experiences. Spend a day with your daughter at a live dance performance or theater production. Enjoy a ballet performance from the Ballet Theatre of Ohio. The company performs the Nutcrakcer annually in December and also has performances such as Cinderella and the Wizard of Oz in the spring. Big cities -- and even some suburbs -- in Ohio are home to children’s theaters. In Cincinnati, the Children’s Theatre of Cincinnati performs professional shows geared toward children aged 4 to 12. The Columbus Children’s Theatre performs eight productions annually and offers season subscriptions. The theater also provides theater education if your daughter has an interest in pursuing acting or performing as a hobby. Learn a new artistic skill or cultivate your daughter’s creative expression at an art-themed venue in Ohio. Visit Hands-On Pottery Studio in Lyndhurst to paint your own pottery or create a beautiful mosaic piece. Bareclay -- a ceramics studio in Columbus -- provides a variety of art-themed activities for a mother-daughter day. Learn to use a pottery wheel, take a parent-child art class or just let your imaginations run wild during an open studio time. Time at the spa is a fun way to treat your daughter to a day of beauty while spending time together. The Scoops Kids Spa -- located at the Great Wolf Lodge in Mason -- is an ice cream-themed spa that caters to kids but also provides adult spa services. Manicures, pedicures and chocolate organic facials will make your mother-daughter day memorable. Serenity Nail Salon and Spa in Cincinnati also provides kid-friendly spa services. In addition to the full range of adult services, your daughter can get a princess manicure and pedicure that is geared for kids 12 years old and younger. Brunch provides an opportunity to enjoy food and conversation with your daughter. Pier W -- a restaurant in Lakewood that has been open since 1965 -- has a brunch buffet that features selections to please any palate. Choose from among meat from the carving station, hot entrees, fruits, soups, salads and assorted desserts. The Blue Door Cafe and Bakery -- located in Cuyahoga Falls -- offers a European atmosphere and a diverse menu. The restaurant sources local, healthy ingredients for many of its dishes. Enjoy menu choices such as a potato croquette, fresh fruit, granola, bacon and artisan greens.